2WD SLE trim, RED QUARTZ TINTCOAT exterior and COCOA / DUNE interior. Onboard Communications System, Back-Up Camera, ENGINE, 2.5L I4, DI, DOHC, VVT, AUDIO SYSTEM, 8" DIAGONAL COLOR TOUCH... Alloy Wheels, TRANSMISSION, 6-SPEED AUTOMATIC. FUEL EFFICIENT 26 MPG Hwy/20 MPG City! Warranty 5 yrs/60k Miles - Drivetrain Warranty; READ MORE! GMC 2WD SLE with RED QUARTZ TINTCOAT exterior and COCOA / DUNE interior features a 4 Cylinder Engine with 200 HP at 6300 RPM*. TRANSMISSION, 6-SPEED AUTOMATIC (STD), ENGINE, 2.5L I4, DI, DOHC, VVT (200 hp [149.0 kW] @ 6300 rpm, 191 lb-ft of torque [259 N-m] @ 4400 rpm) (STD), AUDIO SYSTEM, 8" DIAGONAL COLOR TOUCH SCREEN WITH GMC INFOTAINMENT SYSTEM, AM/FM/SIRIUSXM with USB ports and auxiliary jack, Bluetooth streaming audio for music and most phones, hands-free smartphone integration, voice-activated technology for radio and phone; and "Shop" with the ability to browse, select and install apps to your vehicle. You can customize your content with audio, weather and more. (STD). 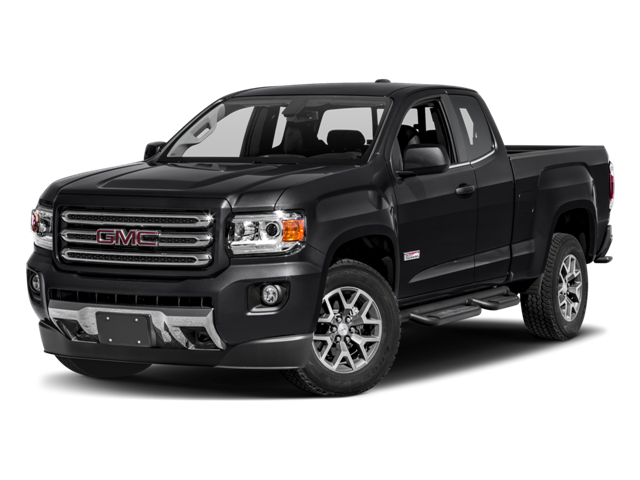 Hello, I would like more information about the 2018 GMC Canyon, stock# GC5616. Hello, I would like to see more pictures of the 2018 GMC Canyon, stock# GC5616.